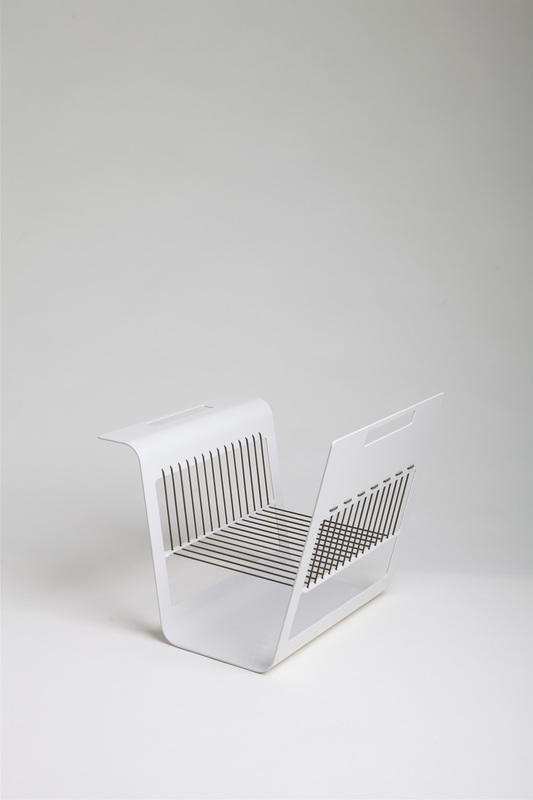 MagazineRek is a steel magazine rack finished with an elastic cord, designed to hold newspapers and magazines. 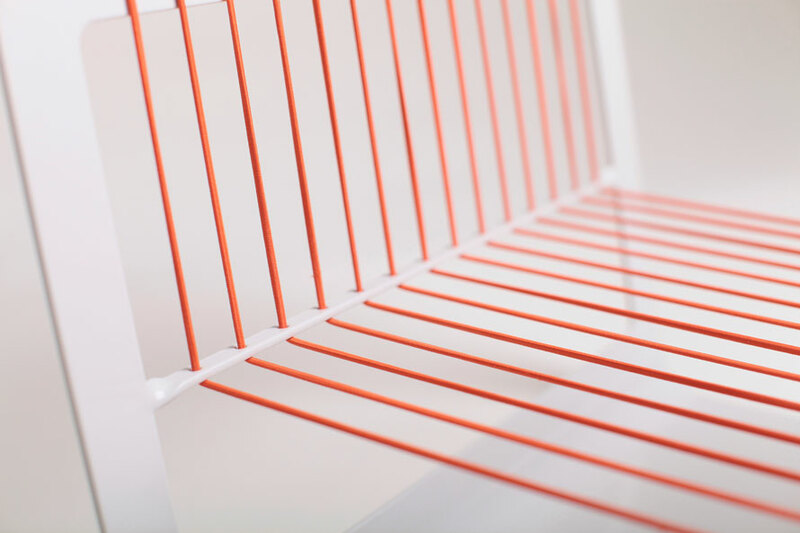 The shape alters as the rack is put to use: the higher the pile, the lower the laced elastic cord drops. 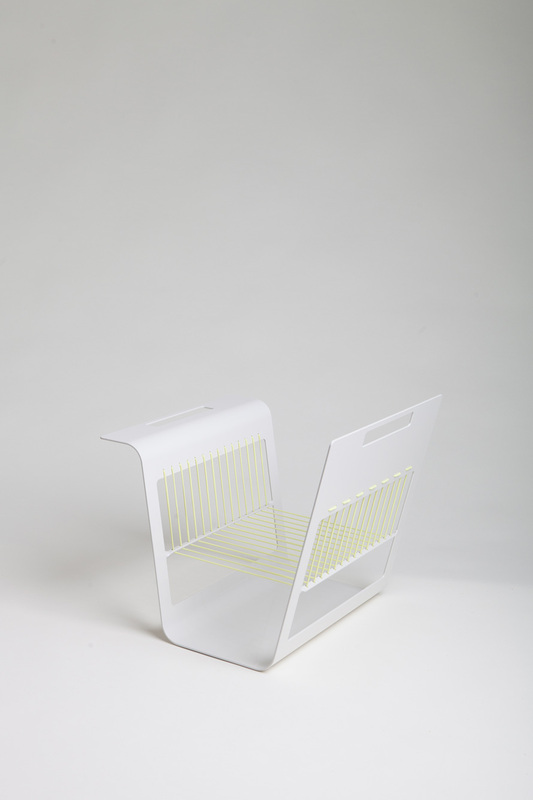 This design gives the heavy reading material a playful sense of lightness. 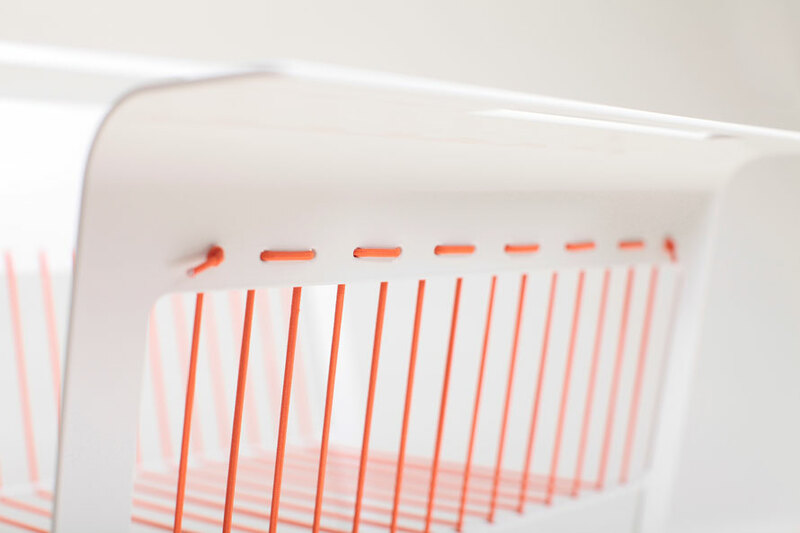 The MagazineRek transforms each static stack into lively literature. 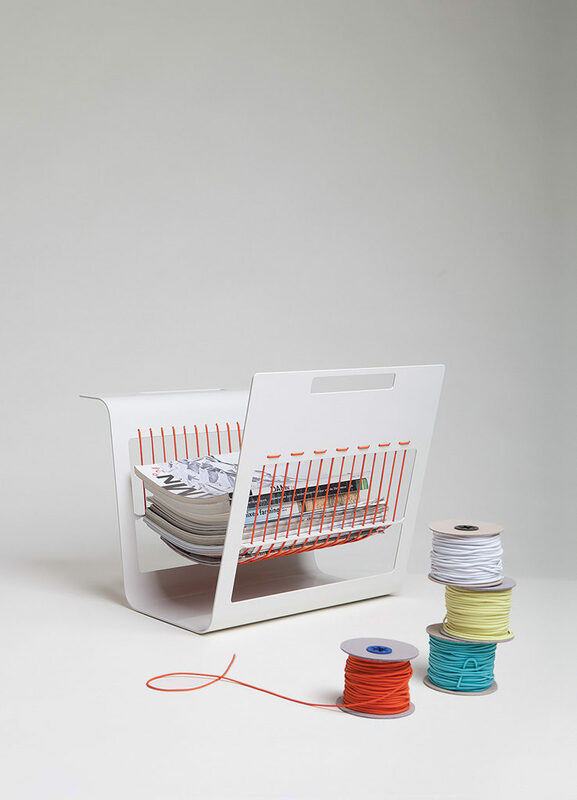 The magazine rack is made of sheet metal and 7 meters of elastic cord. The steel sheet is cut out by a computer-guided laser and finished by hand. 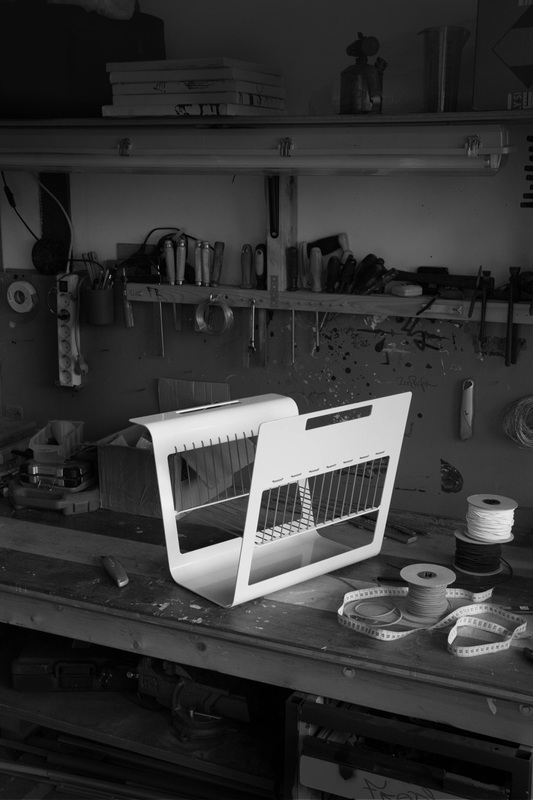 After being covered with a white-grey powder coating, each MagazineRek is laced with elastic cord. This elastic cord is available in several different colours to match every contemporary interior. MagazineRek is exhibited in the spring exhibition of the Dutch Design Hotel Artemis in Amsterdam and attracted the attention of the international press. Visit the webshop to see all items. Fill out the form below or contact me directly.